This lovely card has been created by embossing the Pineapple image in Gold Stampin' Emboss Powder and layering it on top of a piece of Blooms & Bliss Designer Series Paper. 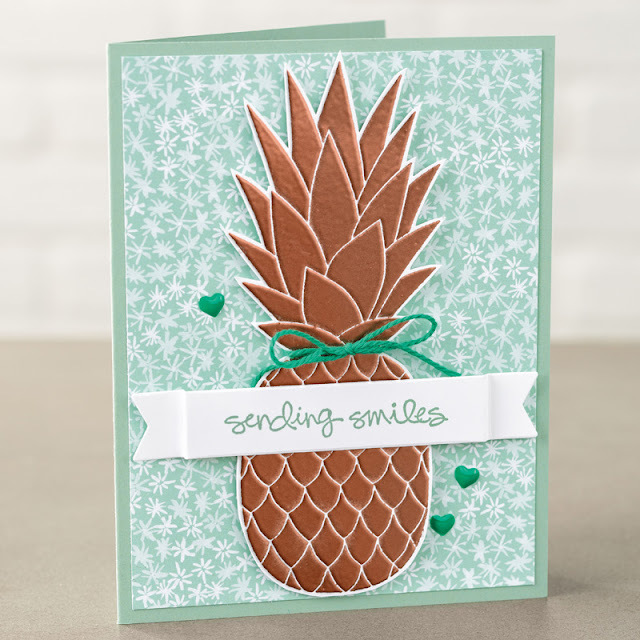 The embellishments are our Enamel Shapes and the card is finished off with a bit of Baker's Twine. If you want to know more about Stampin' Up! products or have any questions drop me a line at the email below. Don't forget that at the moment you get a free £4.50 Bonus Days voucher to redeem in August for every £45 you spend on products.